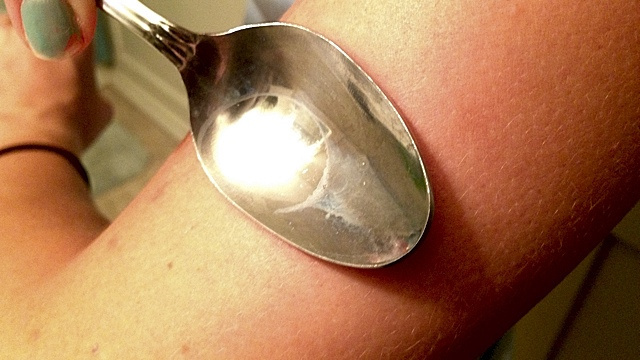 Tis the season for annoying bug bites, but a surprisingly simple remedy exists that can eliminate all of the itch within minutes. All you have to do is heat up a metal spoon under hot tap water for a minute or so, then press it directly against the bite. Hold it tight against your skin for a couple of minutes, and when you take it off, the itch should be gone for good. When mosquitoes bite you, they inject proteins under your skin to keep your blood from clotting. It’s this protein that causes you to itch, but it can’t survive at the moderately high temperatures a hot spoon can create. The bump might linger for a few days, but the uncomfortable itching should be gone for good! Now that June is over, it is time to take a look at some of the best free WordPress themes that were released during this month. Most of the themes that were released during June were meant for personal blogs or corporate and portfolio websites. Quite surprisingly, there were not many based on Hybrid Core framework this time; though Twitter Bootstrap and _s did find representation. WordPress 3.6 is just around the corner, so expect the number of themes to rise in the coming month! Until then, have fun browsing through this collection! Flickr’s recent revamp has certainly made for a much more enjoyable experience when it comes to browsing the photo sharing website. That said, there are quite a few interesting and useful third party Flickr apps that can bring a full Flickr experience to your desktop. The free Mac app F-Stop allows you to browse Flickr photos uploaded both by you or your contacts, search the public feed, watch slideshows of photosets and even batch download images of your choice. You’ll need the Mac, a PXE-capable PC, and an ethernet cable. Some steps will require being logged in as an administrator on the Mac. We’ll boot Debian Live on the client PC as an example. We’ll show a regular setup with NFS, an alternate setup without NFS, and how to uninstall. Connect the Mac and the client PC with the ethernet cable. Forget the Izod alligator or the usual polo pony for Polo shirts. Polo is finally going where no Polo shirt has gone before — straight into the final frontier. 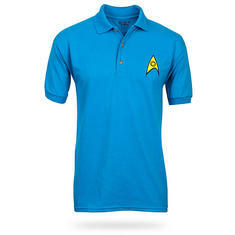 They are finally taking Trekkies seriously (okay, as seriously as anyone can), and turning the uniform shirts from the original series into business casual. How long before this fashion statement turns up on the Big Bang Theory? I’m envisioning Sheldon in science blue even as I write. iOS: We’re fans of the Wake N Shake alarm clock because it really forces you to get up and out of bed by making your vigorously shake your phone before the alarm turns off. If you’ve wanted to give this evil wakeup call a try, you’ve always had to drop a couple of dollars, but for the next few days the app is free. The sale is to celebrate a host of new features, including a complete redesign that makes Wake N Shake easier to use as a whole. Of course, the basic premise of the app, that you have to shake your phone vigorously before the alarm turns off, remains the same. Wake N Shake is certainly one of the more sadistic apps out there, but if you struggle to get up in the morning it’s worth grabbing now while it’s free.